Concorde, perhaps the most iconic airliner in history, made its first commercial flight between London and New York 40 years ago today. Enjoying a journey that took a mere three hours, the rich and the rushed quaffed champagne and scoffed lobster while travelling at twice the speed of sound. Fans of the aircraft included the Queen Mother who, after taking an earlier flight on Concorde, mentioned to Captain Jock Lowe that whenever she heard the plane approaching her Clarence House home in London, she would go out on to the balcony and wave. 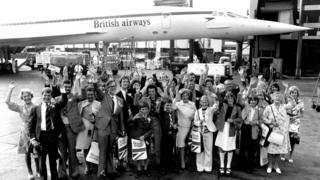 He told her that from then on when he flew Concorde over central London he would flash the aircraft headlights in salute, which then became a tradition for all the Concorde captains. Twenty of the birdlike planes with their distinctive droop-noses were built. Seven went to the then state-owned British Airways and seven to Air France. The remaining six were prototypes that never went into passenger service. Here are some of the stories of Club Concorde members who were inspired and enthralled by their experiences of "the pocket rocket". 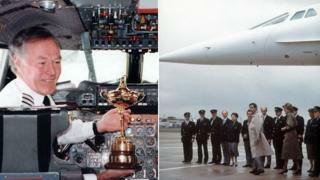 On 31 March 1976 Captain John Eames was in command of Concorde G-BOAA in flight from London Heathrow to Bahrain. 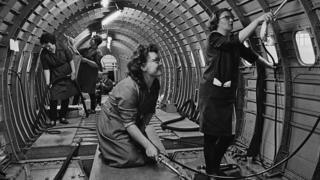 "Soon after accelerating to supersonic speed, the chief steward came on to the flight deck and informed me that among the passengers was a jazz band, complete with instruments. Moreover they wanted my permission to perform in the cabin. "I was mildly surprised at this notion but decided that as the passenger load was quite small, 'why not?' They did play and, I learned later, made a recording of a tune that they had specially written called The Mach 2 March. "Later, after we arrived in Bahrain, they came round to our hotel and gave a small performance in our hotel's crew party room. I then learned that our erstwhile passengers were The Temperance Seven. "On a later visit to Bahrain their leader, whose name I have sadly forgotten, came to dinner at the crew hotel and gave me a recording that they had made and which included the aforesaid March, interspersed with my in-flight announcements." As a teenager in London, Trish Dainton would often stop in her tracks and look up to the sky when hearing that instantly recognisable sound. "It was a regular sight but every time was like the first. "Unknown to me at the time, in another part of London, another teenager would also look up in awe hoping to be on Concorde one day. Forward-fast a few years and our paths had crossed. "In 1987, the young man - Steve Dainton - and I got engaged. We married in 1988 and made a promise that we would do something very special like travelling on Concorde for our 10th year as a married couple. We were so serious about it that we opened a 10-year joint endowment policy and paid into it every month. "We were absolutely thrilled to find we had been allocated seats 1A and 1B. These are the seats at the very front of the plane and where the information board was. 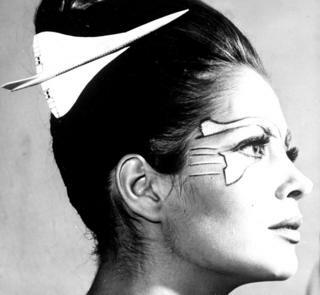 "The in-flight service was immaculate, as would be expected. We were pleasantly surprised we could get to meet the captain and other members of the crew and take photos. "The memories of that time are now even more precious. In 2011 aged just 49, Steve died from Huntington's disease he had inherited from his father. Although he did not have the gene formally diagnosed until seven years after our trip, when we married we knew that there was a risk we wouldn't be growing old together so it was imperative we did not put off things for too long. "I will always cherish having been able to share living the dream with Steve by my side. 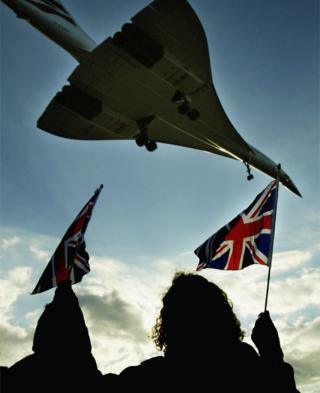 I hope Concorde takes to the skies again one day to allow others to dream and to fulfil their dreams like we did." 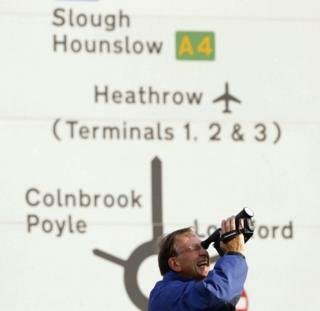 The end of the runways at Heathrow all have public roads and footpaths near them. During the summer of 2003 Jetinder Sira often used to walk to these spots: "I would stand on my blue stool waiting for Concorde to take off. 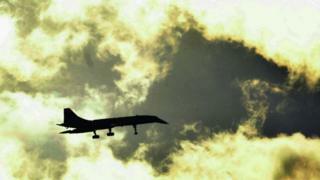 "The idea was to stand on the stool near the end of the runway, peek over the perimeter fence and look down the runway. 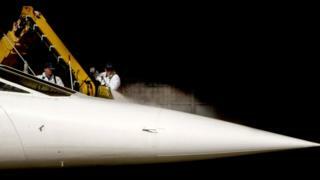 "When I saw Concorde coming I got my camera and started taking photos. As she very rapidly flew over the fence and over my head, she formed a shockwave and this shockwave knocked me off my feet and off my stool. It was an awesome experience, it wasn't a one off, it happened on every single take-off. "No other plane, not even the 'overweight' Boeing 747 (which was twice the size of Concorde) could ever knock me off my feet, but Concorde did." Stephen Gay flew Concorde twice, both times from London to New York, in the early 1980s: "On the second flight, one of the flight attendants spilled some of the lunch offering on my trousers while she was serving me. Needless to say she was most embarrassed and apologised profusely. "A class act on her part and that of BA." Doug Newton, who was based in the Concorde Flight Test Department at Fairford, recalls: "During the flight-testing days we flew down to Casablanca for a day out when we were asked by another snail plane who we were and what we were doing. "'Jeeez' was the only reply! "So Concorde 202 - G - BBDG sped on with some wry grins in the cockpit. All in a day's work! 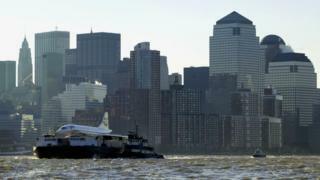 "Still very proud of our aircraft and what we did to get it into airline service. 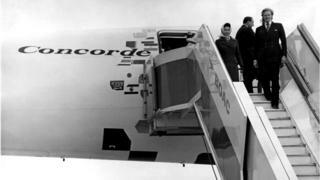 I was in fact on the delivery flight from Fairford to Heathrow in January 1976 of the very first Concorde for BA." "I booked a trip for my husband's 30th birthday as a surprise," says Jan Ward. "It was one of the best experiences of our lives and we had an amazing weekend. 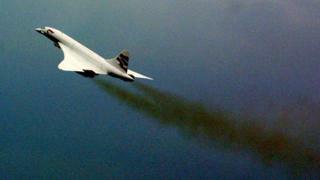 "The day they did the final Concorde landings, we were on our way to Devon. It must have been the only time that we were grateful for being in a traffic jam. Our Audi had a television in it, and, as we were stationary, we were able to watch them come in from their final flight. "It made me so emotional. I was in floods of tears. It was lucky that I wasn't driving." 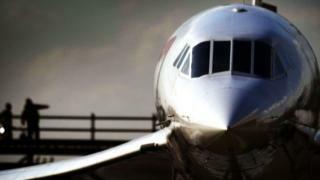 Neil Kemsley says he was one of the lucky people given a free flight on Concorde as part of a promotion. "We boarded at Gatwick and then landed at Heathrow. "This flight was passengers-only and no baggage, and the captain was very aware of the fact that the aircraft would be a lot lighter than usual and was out to impress us all on the performance. When we were all seated he requested that we all ensure that our seatbelts were securely fastened. "We taxied to the end of the runway. We took off like a bullet out of a gun, climbing nearly vertical. 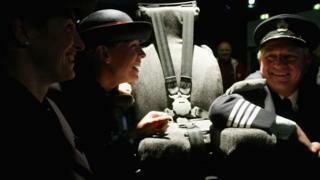 When we had reached some amazing altitude he took the power off and we lifted out of our seats. 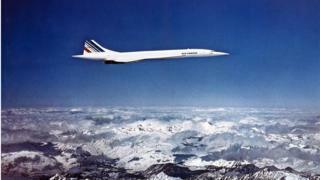 Dennis Williams, who lived in Woking until 1986, said: "Concorde was a familiar sight and sound overhead our house. 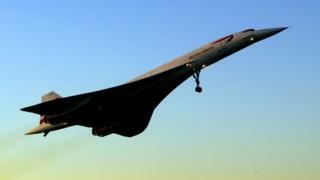 "When we moved to Herefordshire, we exchanged Concorde for low-flying military jets, which appeared to be much noisier. 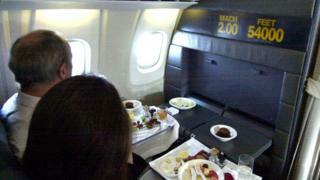 "Nearing my 60th birthday, my wife thought that she would surprise me by booking a champagne Concorde flight. "She then realised that a hefty withdrawal from our joint bank account would attract suspicion, so she had to confide her plans with me. "I was overjoyed at such a wonderful birthday present, but decided that I would rather wait until I retired at 65 and take the trip then. "Sad to say, as history relates, before I reached retirement, Concorde was withdrawn from service and I never flew in her."